Conventional aerial imaging systems are slow because they require a large, heavy setup. We use aerosol distribution from off-the-shelf spray as a fog screen that resists the wind and has high portability. As application examples, we present wearable applications and aerial imaging on objects with high-speed movements (e.g., a drone, a radio-controlled model car). Our study will contribute to the exploration of new application areas. 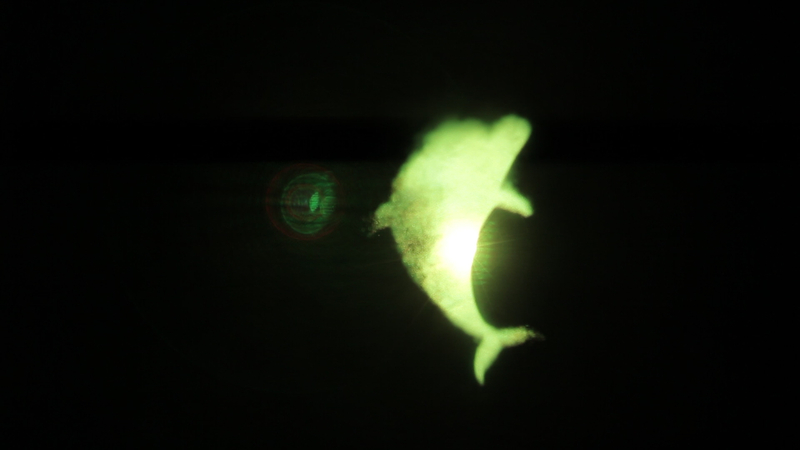 Floating screen with projection (showing a morpho butterfly) under the drone (DJI Phantom 2; DJI Co., Ltd.). The minimum weight of the whole system is around 600g (when we use balsa wood for the frames).